We’re quickly approaching the end of the season and I’m surprised how much my opinion on some shows changed from the beginning. This week I’ll be discussing my thoughts on Kill la Kill episode 18, Nagi no Asukara episode 19, and Samurai Flamenco episode 17. Trigger has really managed to continuously impress me for the past few episodes. 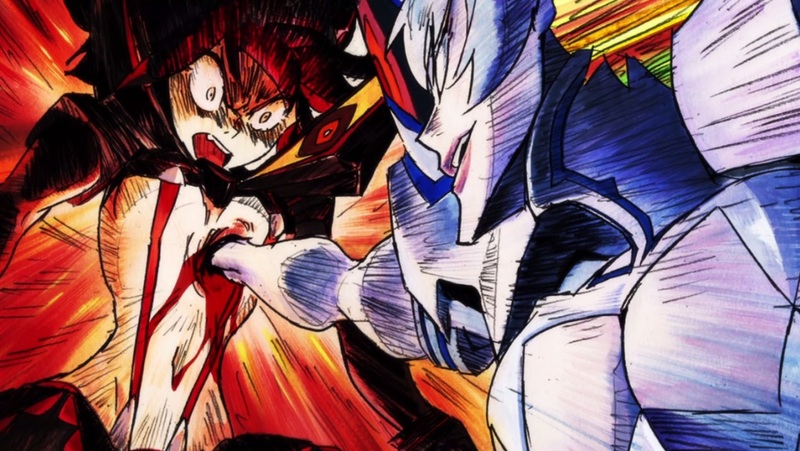 Satsuki’s mutiny against Ragyou is fueled by revenge, similar to Ryuuko. Her only purpose in life was to be a slave to the life fibers. Ragyou gave birth to her daughters for the sole purpose of using them to further developing life fibers. Even after the experiments failed on Satsuki, Ragyou continued to use her daughter as a pawn to help the life fibers take over the world. Even though Satsuki is fighting for what she believes in, she’s still powerless against the life fibers and her mother who have been controlling her life since the beginning. 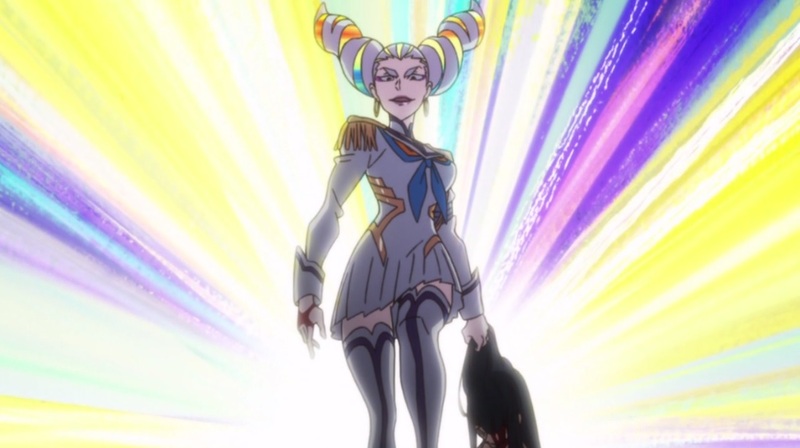 We also get the reveal that both Satsuki and Ryuuko are Ragyou’s daughters as well as the fact that Ryuuko was merged with life fibers similar to Ragyou. Next week can’t come soon enough since there are a lot of questions that need to be answered now that the cat’s out of the bag. This was a rather calm episode after last week’s events. However, that doesn’t mean there wasn’t any drama! Chisaki was the main focus of the episode and we got to see things from her perspective. These last 5 years, she was changing but at the same time, she hasn’t been able to let go of the past. As she mentioned, towards the end of the episode, their time had frozen but now that they’ve all been reunited, it can finally move forward again. By not being able to let go of the past in those past 5 years, she hasn’t been able to notice what was right in front of her the entire time, Tsumugu. The two spent the last bit of their childhood growing up together and becoming much closer. While Tsumugu developed feelings for Chisaki, she still doesn’t see him the same way despite how well they get along. Once Manaka returns, the group can finally go back and resolve their romance drama in the past. Once that has been settled, everyone can finally move on with their lives and accept the change. 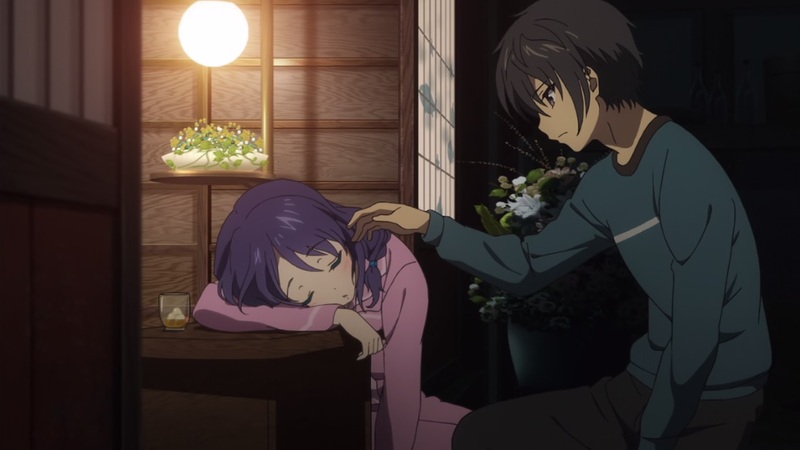 I also felt kind of bad for Kaname this episode even if he seems a little bratty towards Tsumugu. The girl he’s been in love with has grown up without him and changed so much. On top of that, she’s always been in love with Hikari even though her feelings weren’t reciprocated. Now, Tsumugu is also in love with Chisaki and just watching how those two are in perfect sync with each other just pains him. 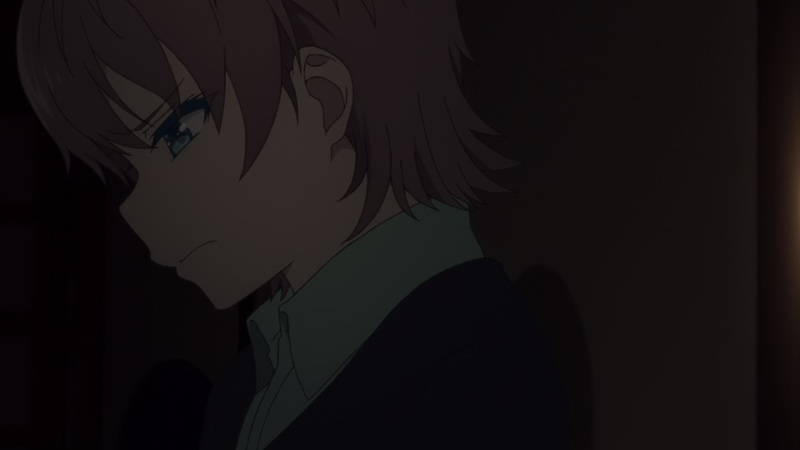 Not only does he have to compete with Hikari, who is still in Chisaki’s heart, he has to compete with Tsumugu on top of that who understands Chisaki almost perfectly and grew up together. Just when it looks like things are back to normal, they decide to throw us another curve ball. 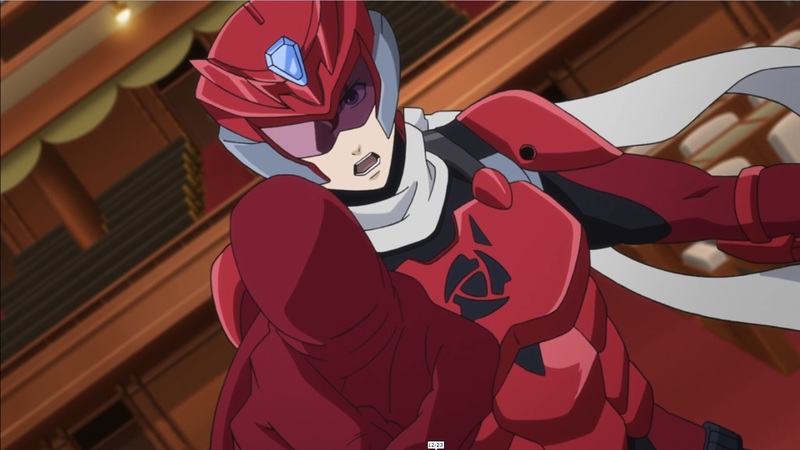 I actually really enjoyed the battle between Samurai Flamenco and the Prime Minister. Masayoshi relied on his friends and allies for this battle rather than attempting to save Japan on his own. I don’t really agree with the Prime Minister’s method of protecting Japan. He deceived all of his supporters rather than telling them the truth which in the end, wound up ruining his plan. I’m not too sure about what I think about the whole Alien Flamenco thing but I have a feeling that Manglobe has something big planned. Masayoshi during his Flamengers day is much different from the Masayoshi now. He’s remembered that he’s fighting for justice, not just fighting for fame and evil. That wraps up another week of fall 2013 anime! I apologize that it’s a bit shorter this week but my brain is still fried from working on all of my assignments. Reading week has finally come for me so I’ll have a bit more time to work on other posts in the coming week so stay tuned for that. Also don’t forget to check out my coverage of the winter 2014 season as well.